Daljeet Kohli’s latest stock pick is backed by stock wizard Ashish Dhawan. It also used to be Rakesh Jhunjhunwala’s favourite. Daljeet promises a 100%+ gain from the stock. Will it come true? I last wrote about Radico Khaitan when Rakesh Jhunjhunwala grabbed a chunk of 6,85,112 shares in June 2014. The fact that Ashish Dhawan was already sitting pretty in the stock with a massive holding of 24,34,195 (now 32,34,195) shares told me that good things were around the corner for Radico Khaitan. All indications at the ground level were/are that liquor stocks would/will shine given the size of the market and the huge amounts of money that Diageo is pumping into United Spirits. Amongst a bevy of analysts, Daljeet is also bullish on the stock. He has been periodically recommending a buy. Unfortunately, Radico appears to have lost its way somewhere. It has been consistently reporting dismal & disappointing results. The latest Q1FY15 results are an example. Though the revenue increased 3.5% y/y to Rs.369 crore, the EBITDA plunged 8.8% Y/Y to Rs.48 crore. The net profit plunged a whopping 26.4% Y/Y to Rs.16 crore versus Rs.22 crore in Q1FY14. The consequence of this dismal performance is that the stock price has been battered out of shape. It hit the lower circuit today and has slid to a 52-week low of Rs. 92. This has led to heavy losses for Rakesh Jhunjhunwala, Ashish Dhawan and several other marquee investors in Radico. 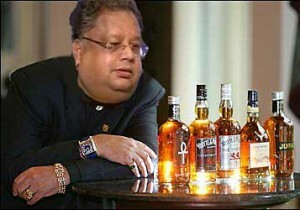 Rakesh Jhunjhunwala appears to have lost confidence in the stock. He has been gently selling the stock. In the April to June 2014 quarter, he finally got rid of his holding in the stock. “At CMP of Rs.97, the stock is trading at 11.8x FY15E and 10.3x FY16E Bloomberg earnings estimates. The current valuation offers attractive discount relative to last three years average P/E multiples of 19.0x one-year forward earnings. The revival in flagship brands, premiumisation, and strong macro demand in tier-2 and tier-3 cities, along with expected stable molasses prices (due to favourable monsoon) remain positive for the stock. 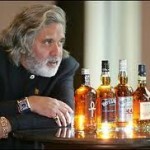 Further, the transformational deal of Diageo plc with United Spirits Limited could provide window of opportunity to Radico”. The best part is that the dynamic duo of Daljeet and Amar has promised a price target of Rs.190 for Radico Khaitan, which is a whopping 100% gain from the CMP. As usual, Daljeet’s advice is logical and convincing. Hopefully, this flash note will calm the frazzled nerves of Radico’s shareholders and sustain their faith in the beleaguered stock. 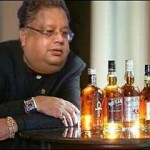 Is Rakesh Jhunjhunwala Buying United Spirits? 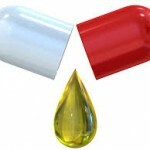 Why Is Ashish Dhawan’s ChrysCapital So Bullish On Mid-Cap Pharma Stocks? Why Is Ashish Kacholia Interested In JB Chemicals? ← When Sanjoy Bhattacharyya Recommends A Stock, Can We Afford To Stay Aloof? Why is Daljeet Kohli firing gun on others’ shoulders? Has he not done his homework? Is he not confident in his pick? Why base a recommendation (Radico Khaitan) on bloomberg estimates? Has he not done his own estimates? How can one recommend without estimating future earnings? If things go wrong, it’s easy to blame bloomberg estimates (which are average of other research houses recos). Its pity that indianivesh with a team of research analysts base its reco on others’ estimates!! 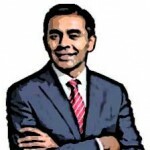 I have myself read your post regarding rakesh junjunwalas purchase of radico shares. I bought the shares at a price of 130 which was less than the purchase price of RJ hoping the prices will go high, however the prices went down and down i sold it at 97 suffering a loss of 20 to 25 %. Iam constantly watching this stock to see how much it will go down and to see when there will be a buying opportunity. Ya, the long term guy is here again. Think he lost his fund manager’s job and recommends a loser for long term! I feel molasses price price will move up or remain higher due to poor monsoon in the country this year, impacting margins and profit adversely. Radico is perfect example of bad management. For those of you, who are suggesting a BUY are not at all aware you are taking 10% risk for returns of 1% reward. Check risk-reward ratio and invest. Be rational while investing. One should see its Q2 numbers to initiate any buy call. Don’t get into this stock based on estimates worked out on complete assumptions. Also study the stock behavior when the markets are falling couple of hundred points. Its strength to be watched in falling market before arriving at buy decision.